Reviewing U.S. collisions between 2013 and 2015, researchers blamed 14 percent of fatalities in cities and suburbs on slower-than-average EMS response times. Poor timing accounted for 10 percent of deaths in rural areas. 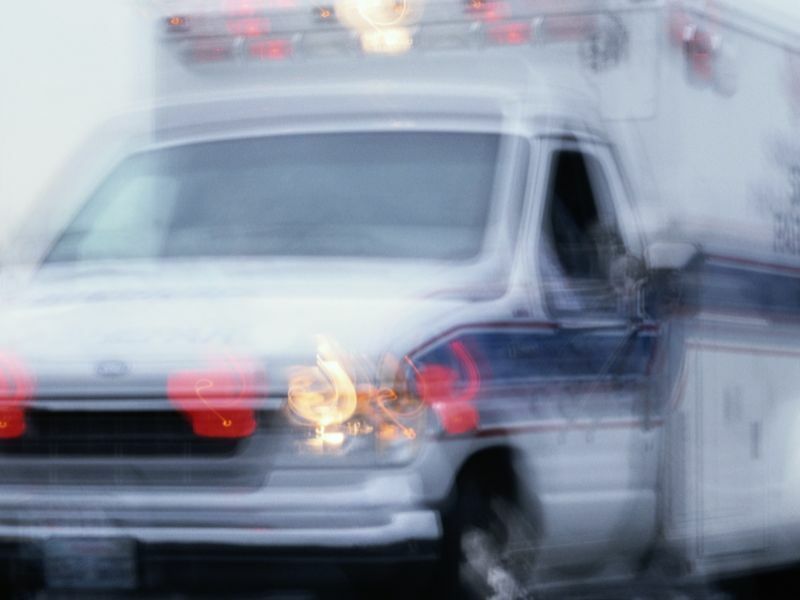 "Prehospital response time is critical for trauma patients, likely due to the importance of prehospital care, such as IV fluid administration, fracture stabilization and control of bleeding," said Dr. Marie Crandall. She's a professor of surgery at the University of Florida College of Medicine in Jacksonville. "Our prehospital providers provide essential care that saves lives," said Crandall. But these systems need additional funding to improve their efficiency, she said. Crandall wrote an editorial accompanying the study. Both were published Feb. 6 in JAMA Surgery. The study was led by Dr. James Byrne, from Sunnybrook Health Sciences Center in Toronto. He and his team looked at EMS response times to car crashes in nearly 2,300 U.S. counties over three years. "Prolonged responses" were 10 minutes or more in rural areas and 7 minutes or more in urban and suburban areas. If the response time was even 5 minutes slower -- say, 12 minutes versus 7 -- the odds of death rose by 46 percent, the study found. The researchers found that delayed ambulance arrival was linked with higher rates of death even after taking into account regional differences in EMS response time, access to trauma centers, traffic laws and population density. One expert who was not part of the study said he wasn't surprised. "We know that longer transport times are associated with adverse outcomes," said Dr. Robert Glatter, an emergency physician at Lenox Hill Hospital in New York City. But he pointed out that one weakness of the new study is that the researchers can't account for differences in each EMS system. "We need to have studies that include multiple EMS systems of greater diversity to see if these findings can be replicated," Glatter said. Glatter suspects traffic plays a role in slow responses in cities and suburbs. Likewise, longer distances affect rapid treatment in rural areas. He stressed that traffic laws need to be obeyed. "You can't put pedestrians and other drivers at risk in order to get to patients faster," he said. In rural areas, EMS teams are largely volunteers, and it can take time to get a crew together, Glatter said. That can also delay response time. Having electronic routing systems in ambulances to identify the best routes is one way to improve response time, Glatter said. The particular hospital trauma victims are taken to also affects survival, Glatter said. For the severely injured, "if you can take patients to a level 1 trauma center, that will improve outcomes," he noted. "There's a golden hour to getting patients to a trauma center as soon as possible," he explained. Glatter acknowledged, however, that in many cases, patients need to go to the nearest emergency room. Also, he suggested having more paramedics on ambulances because they can provide higher levels of care than EMTs.